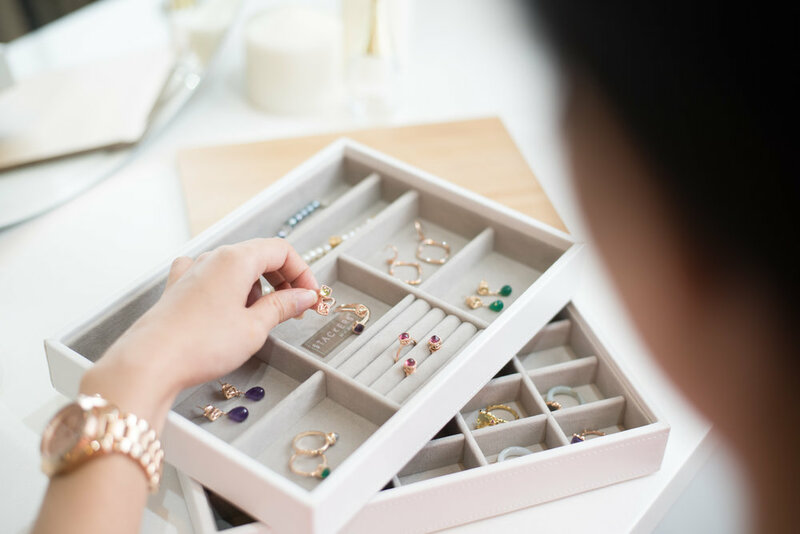 If you've been looking for a functional yet elegant jewellery storage box to store all your little bits and bobs of precious jewellery, we've got a wonderful find for you. 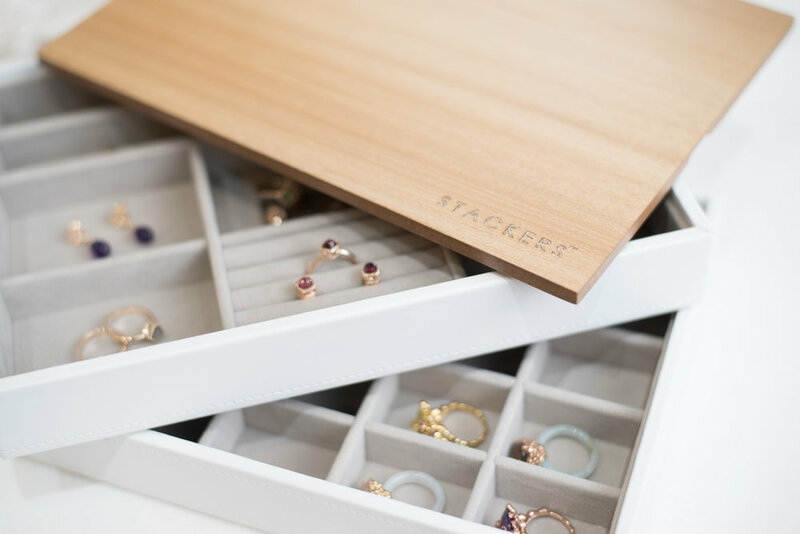 Stackers, a modern and Scandinavian design inspired jewellery storage brand, provides you with customisable storage options, enabling you to create a unique jewellery box to suit your very own jewellery collection. 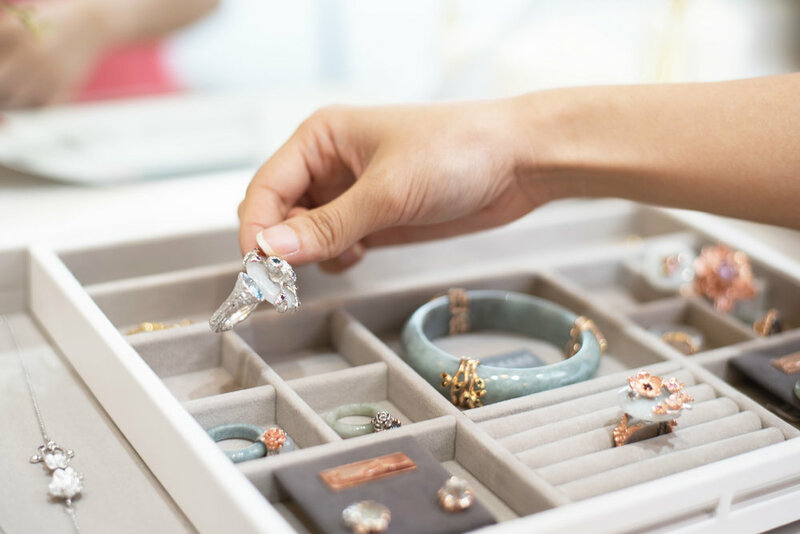 The many different compartments make it easy to store odd shaped jewellery like open-ended rings and drop earrings. With delicate pieces like jade, the individual sections prevent the jewellery from knocking into each other, creating a safe space for each piece of jewellery. We'll show you just how utilitarian it is with our signature jade and Peranakan pop jewellery pieces! 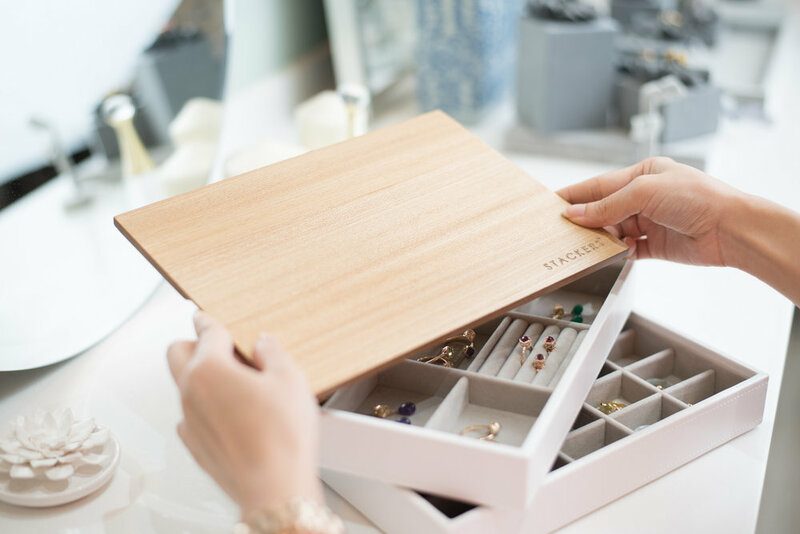 The stackable design of the jewellery boxes makes it easy to add on layers as your jewellery collection grows. Each stacker slots neatly in the one below, holding all the layers securely together. The medium jewellery slider also allows you to slide the sides out, revealing more compartments for longer jewellery pieces such as pearl or jade necklaces. The wooden lid adds a contemporary touch to the jewellery box and protects your jewellery pieces. 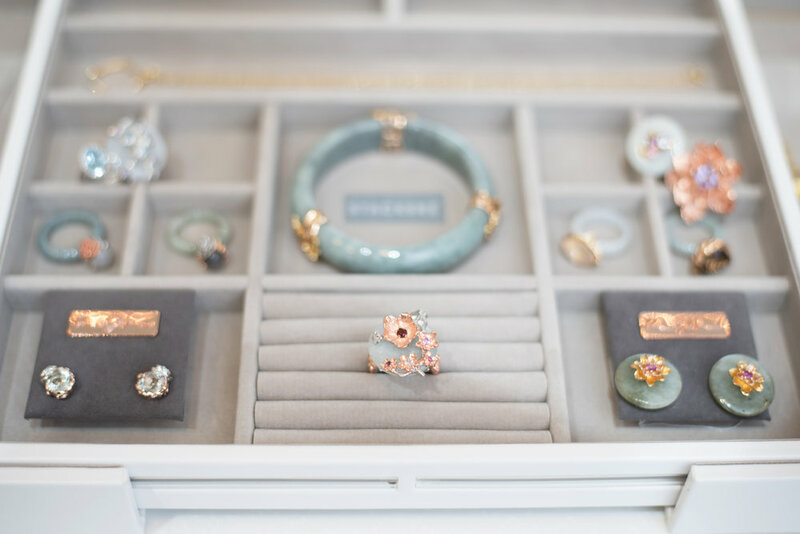 Without the lid on, the jewellery boxes also make beautiful showcases for your gems. The final look is one that is versatile and can easily fit into any modern home. Interested to create your own signature fine jewellery collection?